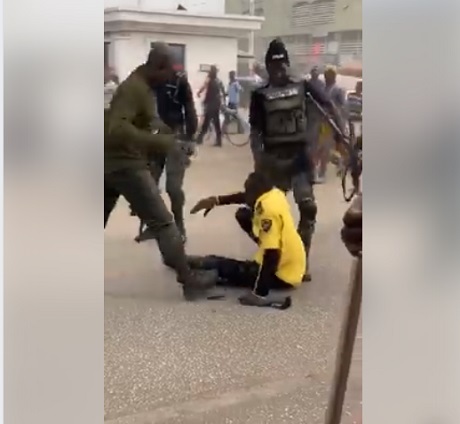 A video which emerged online has shown an official of the FRSC being assaulted and dragged on the road by armed policemen. An official of the Federal Road Safety Corps (FRSC) was brutally beaten by gun-wielding policemen in public. The road safety officer was beaten and dragged along in the road in the presence of a baying crowd including children. 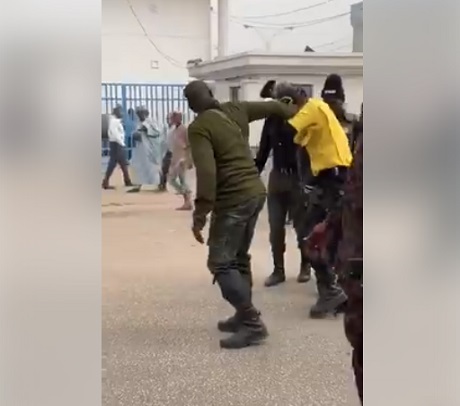 Facebook user Jamilu Ibrahim who lives in Kano state, shared a video of the assault on the FRSC official but didn’t give the reason why he was beaten as he labelled it injustice. Some online users alleged that the official might have offended the policemen for him to be brutalized in such manner.